Vision: Engaging Every Student, Every Day in a Linked Learning Experience. Whether they aspire to become doctors or medical technicians, professors or scientists, architects or carpenters, ALL students hunger for the answer to a simple question: "Why do I need to learn this?" Students want a Linked Learning experience that gives relevance to rigor. Linked Learning is a proven approach to education that combines college-focused academics, work-based learning and integrated student supports. By centering high school around industry themes, learning becomes relevant. Students graduate with the skills and confidence to succeed in college, career and life. Combining rigorous and relevant college-prep academics with career based professional skills to prepare students for college, career and life. Allowing students to apply classroom knowledge in real-world situations. Integration of college-career readiness practices which provides every student will with the necessary experience and training to succeed. Used in schools throughout California, this integrated approach helps students build a strong foundation for success in college and career - and life. Each SLC/Pathway is grounded in a set of four guiding principles. Linked Learning answers the question “Why do I need to learn this?” and inspires students to work harder, dream bigger and learn more by exposing them to previously unimagined career opportunities. Centered around industry themes in high school that make learning relevant, Linked Learning ensures that students graduate with the skills and confidence to succeed in college, career and life. Linked Learning is helping to create an engaged and productive future workforce for California and is bringing employers into the classroom to ensure that students learn the skills they need to succeed. Each career-oriented pathway is centered on one of California’s 15 largest industries, such as engineering, health care, performing arts, energy and law, ensuring that students graduate with skills applicable to actual jobs. Linked Learning is a way to implement the Common Core State Standards. The framework for the Common Core State Standards is directly aligned with Linked Learning—a focus on critical thinking, analysis and applying knowledge to solve real-world problems. 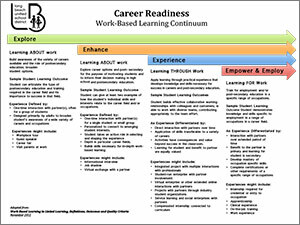 Research shows that compared with their peers, students in certified Linked Learning pathways earn more credits in the first three years of high school, report greater confidence in their life and career skills and say they are experiencing more rigorous, integrated and relevant instruction. Each SLC/Pathway is organized around a major industry sector such as finance and business; health science and medical technology; or engineering. In turn, each pathway contains four essential ingredients. Rigorous academics that prepare students for success in California’s community colleges and universities, as well as in apprenticeships and other postsecondary programs. Career-based learning in the classroom that delivers concrete knowledge and skills through a cluster of three or more courses, emphasizing the practical application of academic learning and preparing students for high-skill, high-wage employment. Shift from narrow, occupationally specific preparation to industry sectors. Work-based learning in real-world workplaces via job shadowing, apprenticeships, internships, and professional skill-building opportunities. Personalized support services that include counseling and supplemental instruction in reading, writing, and math to help students master the rigorous academic and professional skills necessary for success in college and career. ConnectEd: The California Center for College and Career reports that California high schools are not working for large numbers of young people, with students feeling disengaged, unchallenged, or unclear about the relevance of school. Linked Learning, one answer to this problem, is flourishing in high schools throughout California, with promising results. However, its reach is limited in most school districts to one or two programs at a particular high school. In order to make Linked Learning available to a broad range of students, successful district-level models are needed. In response to this reality, a wide group of stakeholders (parents, community partners, businesses, school site personnel, and district personnel) collaborated over the course of one year to better define what the Academic and Career Success For All Initiative would look like at our Long Beach high schools. From this rich work emerged the High School Reform Initiative (2009-2014), which clearly defines how our high schools will transform the diploma from a certificate of completion to a "Passport to Opportunity," by 2014. Source Taking Stock of California Linked Learning District Initiative, the evaluation was supported by The James Irvine Foundation. 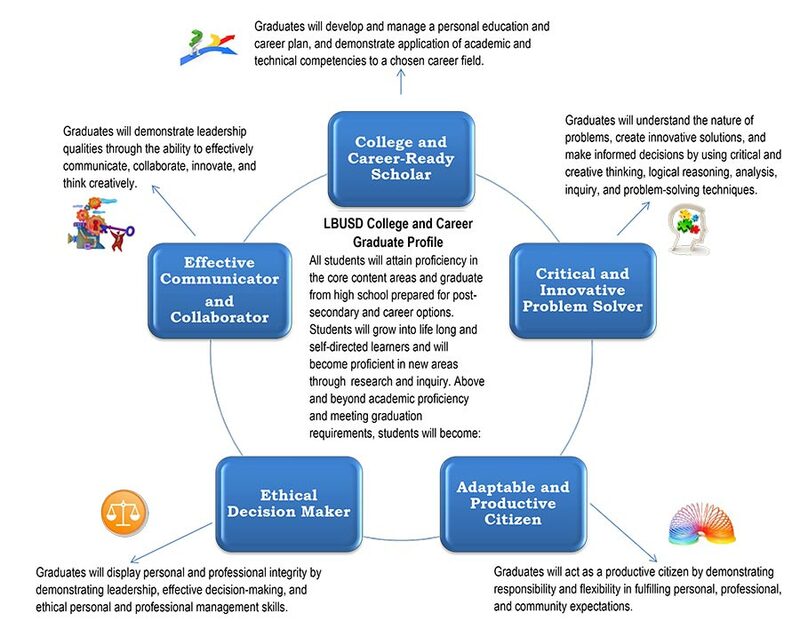 California District Initiative - Beginning in 2009, LBUSD implemented Linked Learning pathways as a primary district strategy for high school transformation to improve student outcomes. LBUSD was one of nine districts across California to pilot Linked Learning with funding provided by the James Irvine Foundation. Mentor District for Linked Learning Pilot Program - Beginning in 2014 LBUSD served as a mentor district to the San Diego regional consortium of five school districts across the county. 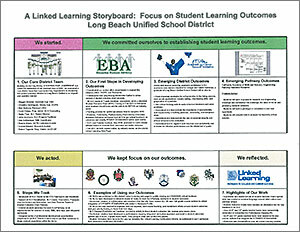 LBUSD provided mentorship and professional development to supporting the districts implementation of Linked Learning. This pilot program was funded by the James Irvine Foundation. California Career Pathways Trust - The Career Pathways Trust program is designed to help students stay in school and move toward college and employment in high-paying jobs. LBUSD was a recipient of two awards; the first grant will focus on health sciences and medical technology supported by partners including Long Beach Memorial Medical Center, Molina Healthcare, Kaiser Permanente and St. Mary Medical Center. The second grant is a consortium led by Long Beach City College, with a focus on engineering and advanced manufacturing. Success. Linked Learning does what a high school education is supposed to do: prepare young adults for success in college, career and the real world. Students graduate with the skills for advancement: the academics for college; the professional preparation to start a career immediately, during or after college; and the competitive advantage of having hands-on experience. They graduate knowing more and knowing how to work with others to get things done and earn a good living. With Linked Learning, students in a building and engineering pathway might learn about geometry and algebra while designing and building a structure. Students in an arts, media, and entertainment pathway might learn persuasive writing skills while developing business plans, or creative writing skills while drafting scripts. 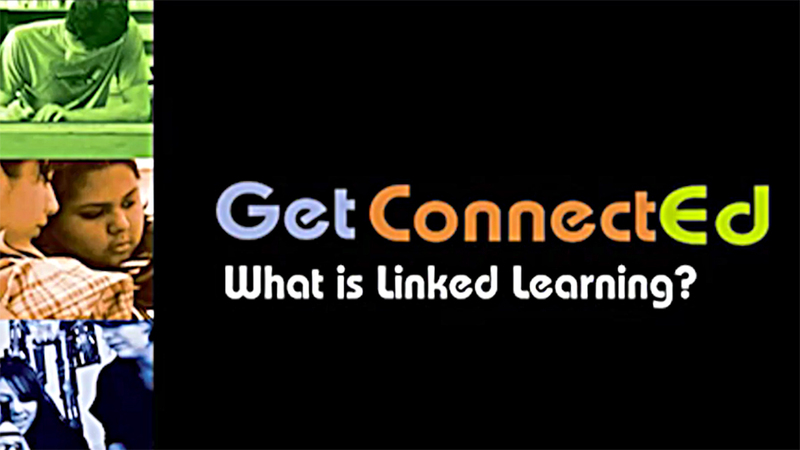 The success of Linked Learning is grounded in its relevancy and rigor. Pathways connect learning with students' interests and career aspirations. They also connect to actual needs in our state's economy, and they help motivate young people to learn by answering the question: "Why do I need to learn this?" While any school can be theme based, a key difference with pathways is that academic course content is coordinated with and reinforces technical course content and vice versa. The science teacher learns from the technical teacher what students did not understand in class and then can review those theories. Likewise, the technical instructor learns what theories to bring to life in the next hands-on technical class. This coordination helps students gain a greater depth of knowledge by seeing the connection between academic theories and real-world applications.